Located in the northern most part of the main island of Okinawa is the quiet village of Kunigami. It is an area mostly left untouched by the fingerprints of modern society. Here you will find an abundance of nature, both on the ocean front and within the jungle enclosed. 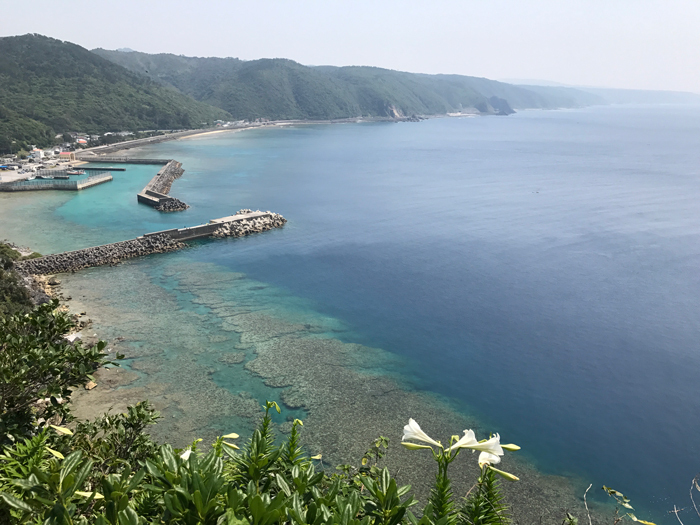 At its apex is Hedo-misaki, a rocky, narrow peninsula that sits in the middle of the East China Sea and the Pacific Ocean. For those who wish to get away from the tumultuous busy lifestyle, Kunigami Village is an escape. 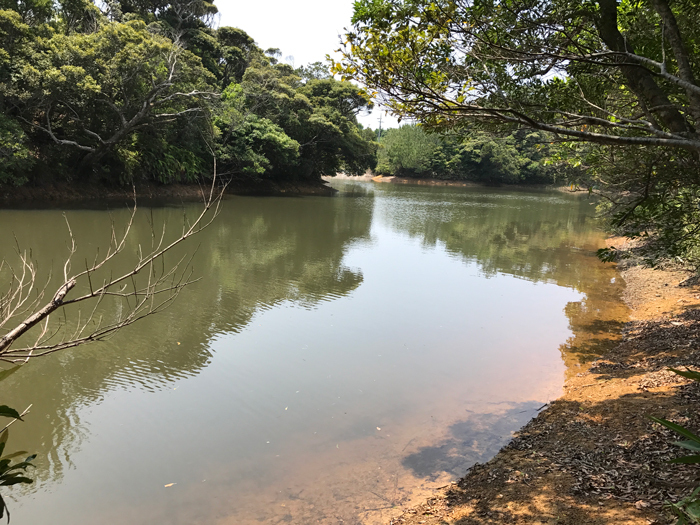 Ninety percent of the village is forest and is currently home to many National Protected Species, such as the Okinawa Rail and the Pryer’s Woodpecker. 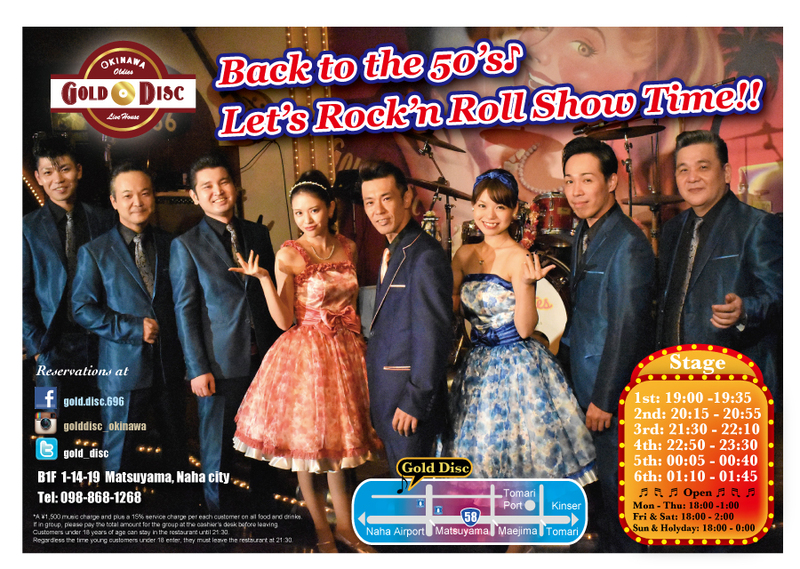 It’s about 194.8 square km in area and is the 5th largest municipal body on Okinawa. 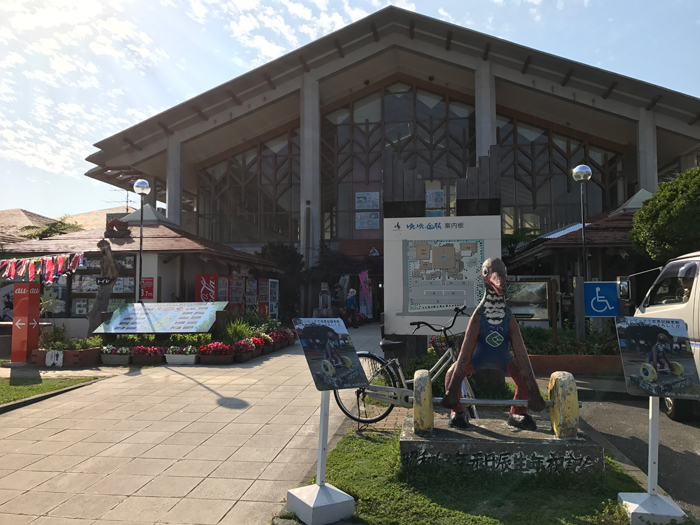 From Naha City, Kunigami is 100km to the north, but just 28km south from the next prefecture – Yoron Island of Kagoshima Prefecture, which can be visible on a clear day. 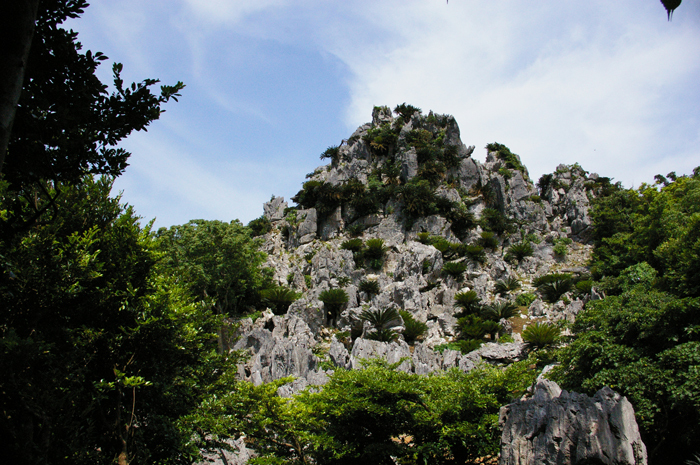 Kunigami is also home to the highest mountain on the island, Mount Yonaha at 503m. This is the second highest mountain in the entire prefecture, with Mount Omoto of Ishigaki Island edging Yonoha by about 22 meters at 535.5 meters in elevation. Kunigami overall has many mountains and river streams. Its most famous waterfall is Hiji Waterfall on the Hiji River. If you love nature, then Kunigami will not disappoint you. Hiking, canoeing, bird watching are just a few of the many adventures you can partake in. So next time you need to free yourself from all of life’s worries, drive to Kunigami Village. Your soul will be glad you did. 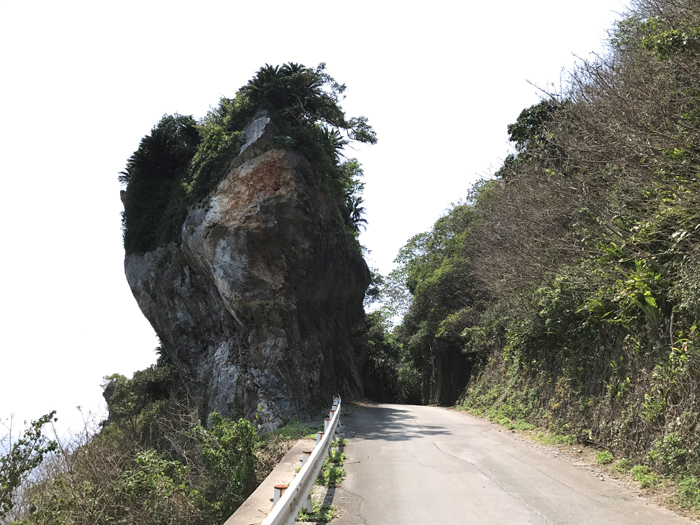 Kayauchi Banta (Cliff) is located at near Hedo Point. Height above sea level averages about 80m. The view from this location is breathtaking. A super panoramic view from Kayauchi Banta. A narrow path – at one time, only one person could fit through this natural corridor to get to the other side. 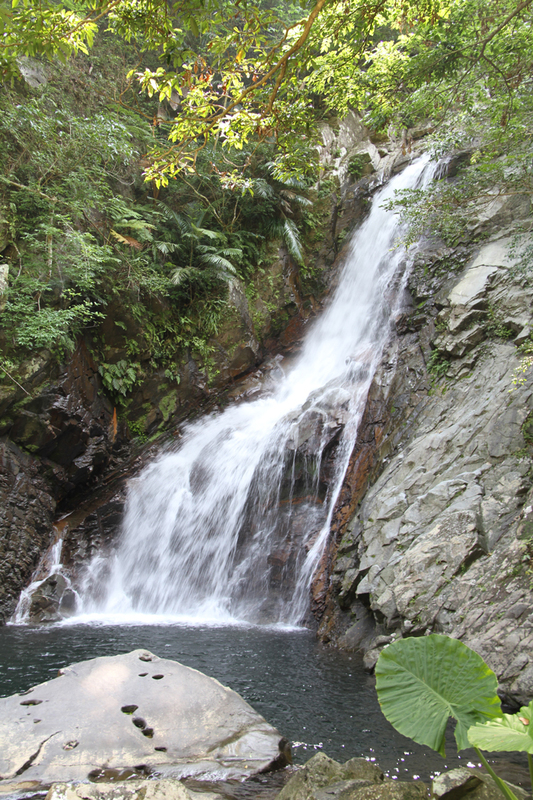 Hiji Waterfall is located within the forest of Kunigami Village and is one of most famous waterfalls on Okinawa. It stands about 26m in height and is the tallest waterfall on the Okinawa main island. It is about 1.5 km from the parking area to the waterfall with an average hike between 45 minutes to an hour. 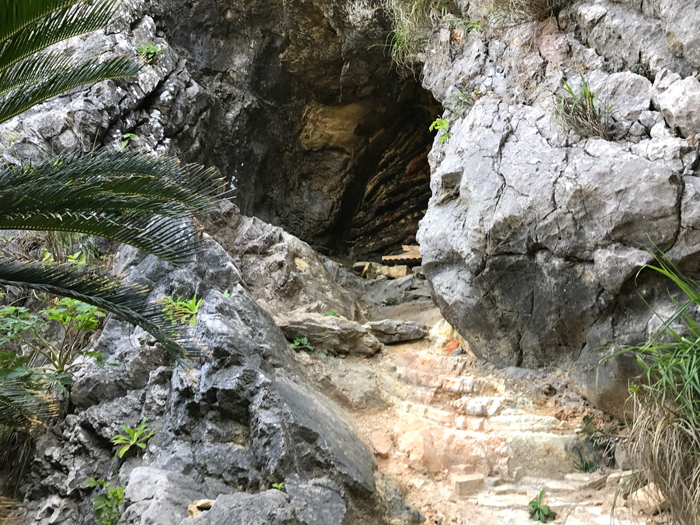 Though a well-laid out path exist, the hike up to the waterfall may pose a challenge for small children and senior citizens. Expect to get a little wet along the way. A change of clothes is recommended. Hiji Waterfall is highest waterfall on the Okinawa mainland. 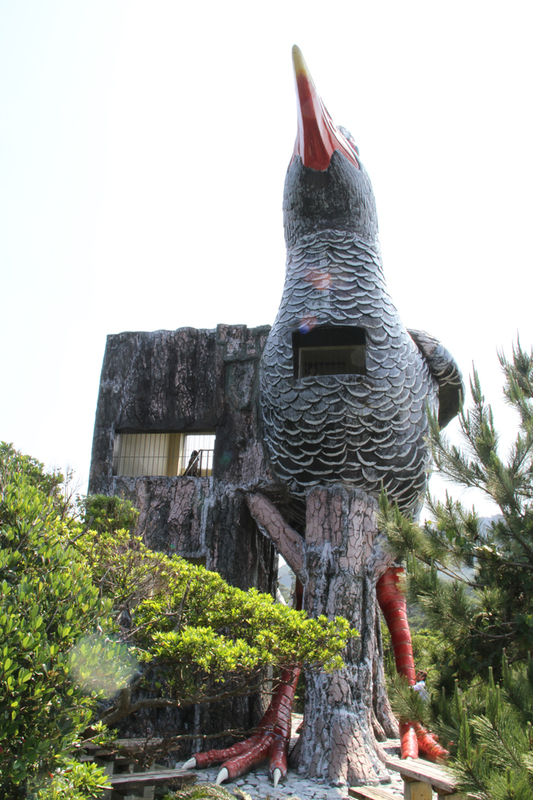 Elevated above in the Kunigami Forest is a giant observatory shaped like that of an Okinawa Rail. It is about 10m in height and has a wonderful panoramic view of the horizon with the ocean and the sky in the backdrop. 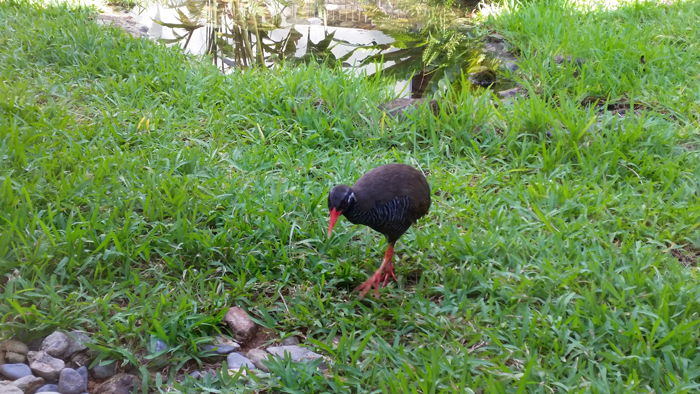 A giant Okinawa Rail waits for visitors. Ashimui Utaki (Sacred site) is one of the seven most sacred places on Okinawa and of the seven, it is the furthest north. There you can see a mountain range with 4 distinguishable peaks. Ashimui means all four mountains chained together. Because of its spiritual significance climbing the mountain top is now prohibited to the general public. Ashimui Utaki is one of the most sacred places on Okinawa. 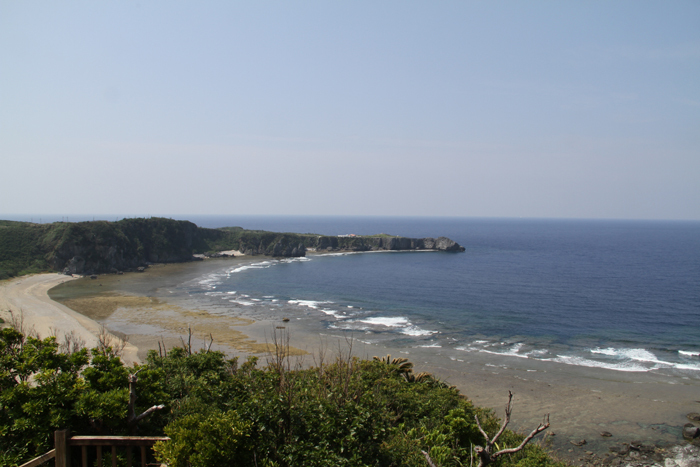 Hedo Point is the northern most point of the Okinawa main island. Here you can view both the Pacific Ocean on the right and the East China Sea to the left. On New Year’s Day, it has become a famous spot to watch the first sunrise of the year. Hedo Point is the northern most point on the Okinawa main island. Feel the exotic nature at Daisekirinzan Park. Sculptures of the Yanbaru Kuina can be found all over Kunigami Village. The Forest Park offers you a chance to relax and breathe. 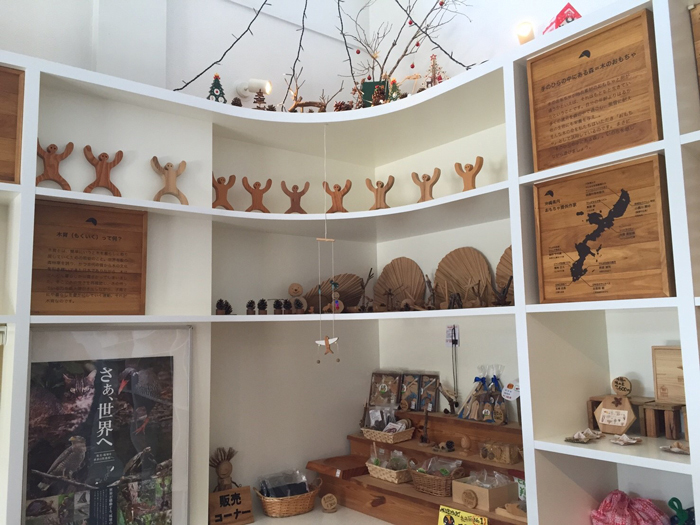 At the Forest Toy Museum, you will find custom-made toys made from trees of the Yanbaru Forest.